This is another beautiful addition to our ever popular Dimensions Range. In this die set you get 18 dies that allow you to create a 3D gingerbread house as well as customize it with various decorative dies including two gingerbread men and a Christmas tree. This die set is also Verso meaning you can either leave the beautifully intricate design in the card or cut it out. 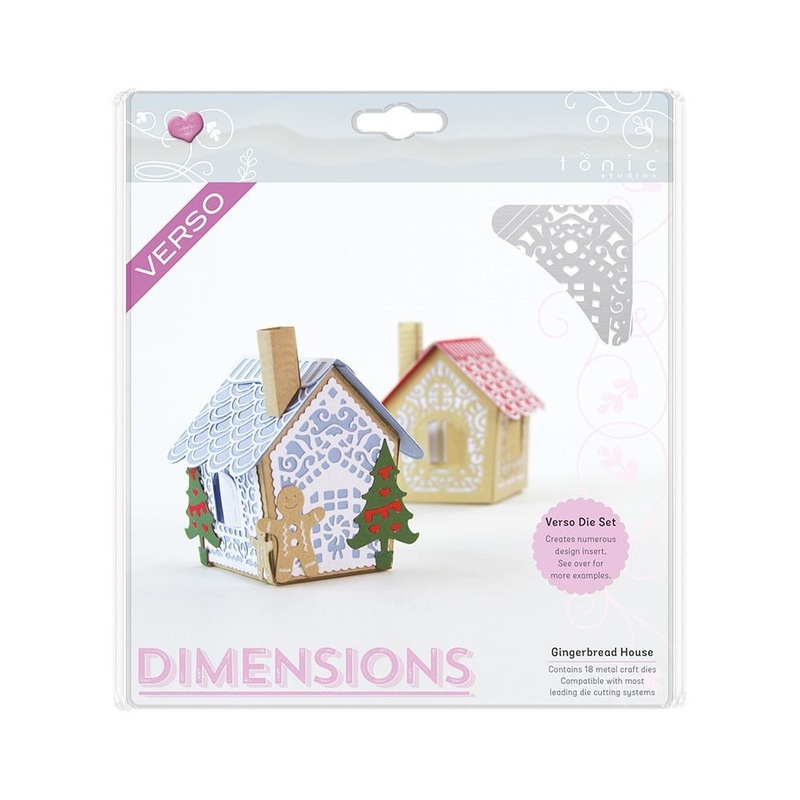 This die set is primarily a Christmas set but as we found out after having a play with them they can be used all year round by using some different colours you can create things like birdhouses, beach huts etc.